Sunday 7 September 2014. (Santiago del Estero, Argentina). 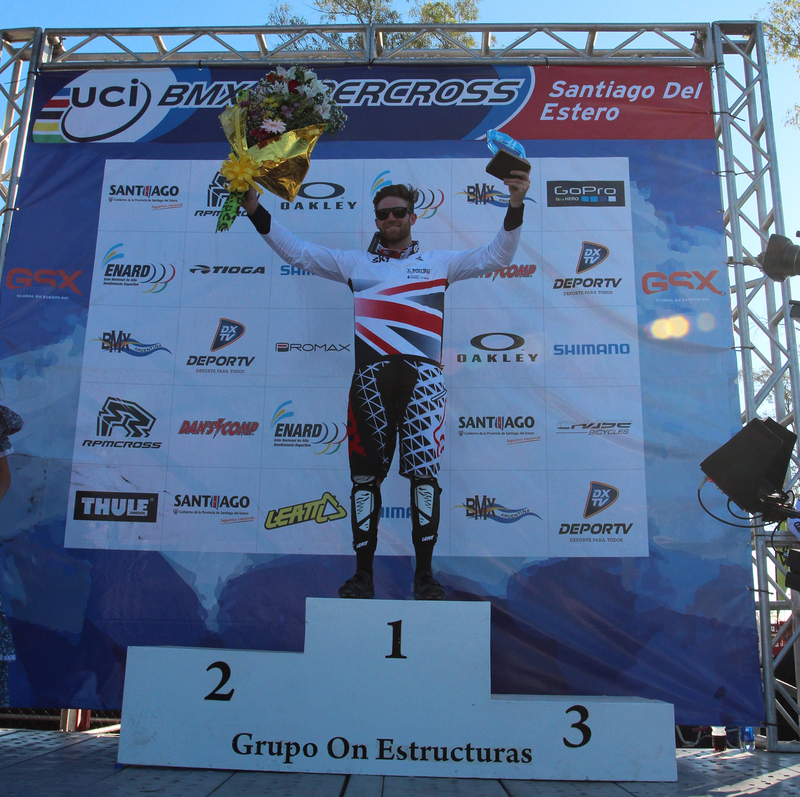 Round four of the UCI BMX Supercross World Cup season got underway in Santiago del Estero in front of an enthusiastic Argentinean crowd. Qualifying rounds were followed by the Time Trials superfinals on the wide and flowing track. 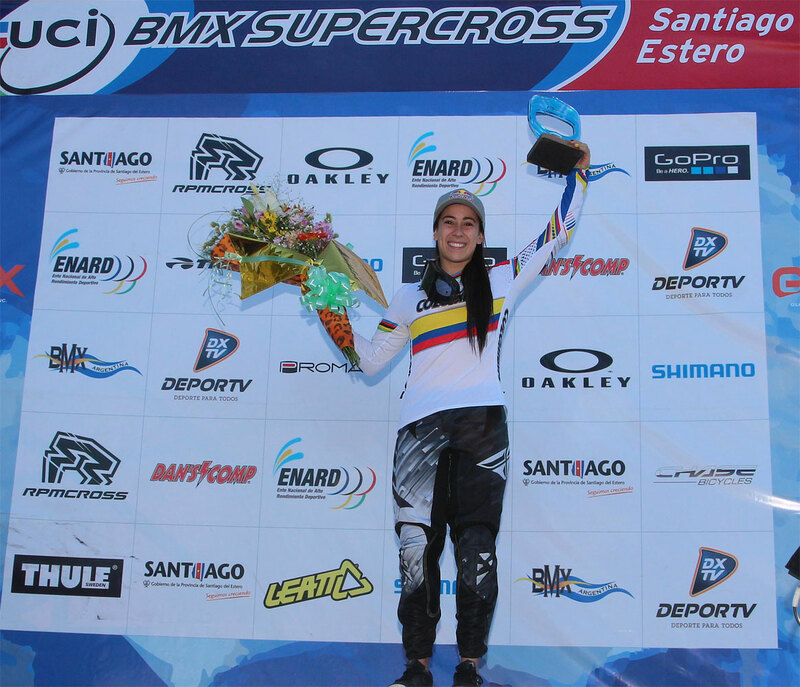 Winners of the Time Trials superfinals are 2014 World Champion Mariana Pajon (COL) in the women class and Great Britain’s Liam Phillips set the fastest time to grab the first win at World Cup number four. Under perfect racing conditions most of the favourite riders made it through to the final program on Sunday after racing the three qualification rounds. With the third moto being important for sunday’s gate pick there was no time to slow down for everyone who traveled to South America to race. On the wide open supercross track racing was close all day. Local favourites Gabriella Diaz (ARG) and Frederico Villegas (ARG) both qualified in second making the home town fans happy and wanting for more. Tory Nyhaug (CAN) won all his three motos and was the fastest qualifier on Saturday with a time of 32.548 in his last lap. Jelle van Gorkom (NED) was the third rider in the men category to win all his three heats and qualified in third place. Alise Post (USA) and Gabriela Diaz were the only two women to have victories in all their three qualifying rounds. The top 16 ranked men and top 8 ranked women in the 2014 UCI BMX Supercross World Cup standings qualified straight into Sunday’s program but rode the Time Trials Superfinals on Saturday afternoon. Simone Christensen from Denmark set the first time of the day but was eliminated from the hot seat when Mariana Pajon (COL) finished her lap. The Colombian moved into first place and her time of 34.394 on the women version of the track did not get beat. Caroline Buchanan (AUS) slept in for the day skipping practice and came closest to Mariana’s time to finish second (34.888) and Felicia Stancil (USA) got third. Pajon stated that it wasn’t a perfect lap for her but she likes the way the track flows and is ready to race on it tomorrow. over with a time of 31.746. With only one rider to go, the tension was in the air to see if the American would win or not. Liam Phillips (GBR) had shown in Manchester during the first UCI World Cup of the season that he can ride a fast lap, but that was at his home track, and indoors. The conditions in Argentina were a lot different. The Brit was in second going into the second straight and stayed in second place after the second turn. But then he turned it up a notch and finished his lap 0.060 seconds faster than Connor Fields did. The victory was his.